Finding a good new restaurant before anyone else can make you a true culinary savant, and the Fort Myers dining scene is currently expanding with several places either set to open or have opened in the last few months. There are a variety of fast-casual concepts, small cafes, and larger-scale restaurants establishing a new presence in town. Read about them all and see what the fuss is about on our list of the new restaurants coming to Fort Myers. Maverick Grille is jumpstarting their new fast-casual restaurant. They opened their first location last week at The Forum and have another spot coming to the corner of Fowler Street and Colonial Boulevard next month. Maverick's menu is centered around high-protein items and build-it-yourself rice bowls, salads, and wraps. There are two separate sizes for salads and bowls priced at $8.99 and $5.99. Deep Lagoon Seafood & Fish Market opened at the end of June, and it's Fort Myers' newest waterfront destination restaurant. This 250-seat restaurant is located in the southern end of town and is next to MarineMax. Deep Lagoon is the classic no-frills seafood spot with locally-caught seafood and a raw bar. The owner already had one location in Naples and hopes to eventually have six to seven restaurants across Southwest Florida. Blue Agave is satisfying Fort Myers residents' cravings for Tex-Mex with the opening of their second location next door to Kabab Village. They have dinner combos featuring one, two, or three items that range in price from $9.75 to $12.00. Most of the lunch combinations they offer are even better deal.s In addition to standard Mexican-fusion fare, Blu Agave draws rave reviews for their full bar and margaritas. Dog lovers will love Bullig Coffee & Bites, a new downtown cafe that's now open and pays homage to our four-legged friends. The restaurant is named after owner Sabrina Schoellchen's French bulldog. There will be some European-inspired bakery delicacies available like steamed pouches with blueberries and wafflewiches. Bullig has all the standard coffees, but they also specialize in a nitro cold brew. River District Cafe is the veteran on this list of newcomers, having opened in April in the former Gwendolyn's Cafe spot in Downtown Fort Myers. They serve a very affordable breakfast and lunch menu that caters to the on-the-go work crowd during the week. River District Cafe makes omelets, waffles, and breakfast bowls for breakfast, and sandwiches, burgers, and salads for lunch. They are open from 6 a.m. to 3 p.m. Monday through Friday but are closed on weekends. 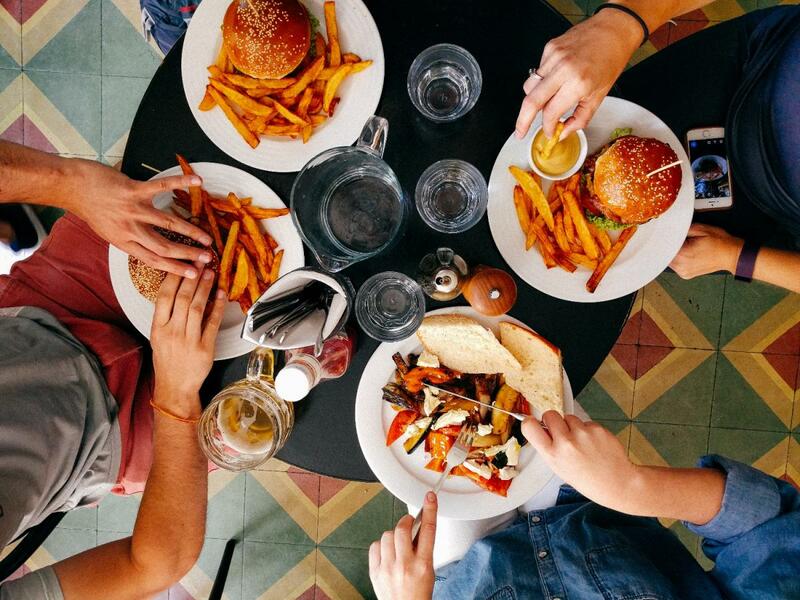 Give one of these new restaurants in Fort Myers a try, and let us know which spot on the list is your favorite in the comments below! Find more restaurants in Fort Myers by registering on 239area, your free guide to the Fort Myers area.